Travel Mindset partnered with Farimont Hotels to send world explorer, Lee Abbamonte on an around the world trip, staying at Fairmont Hotels in each location. 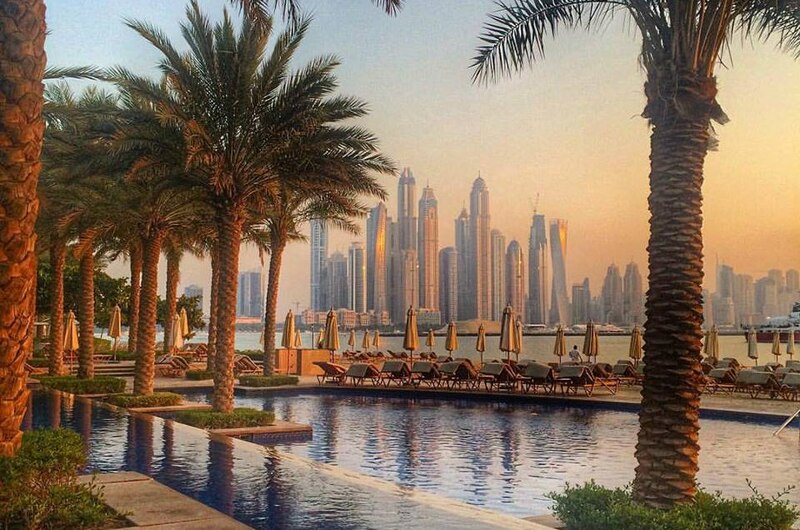 Check out his experience at the Fairmont Dubai and The Palm. Dubai is one of my favorite places in the world. I could legitimately live there and be perfectly happy. Dubai has everything and really they have the best of everything. I often find myself in Dubai for short periods of time because it’s such a massive transit hub. That’s OK because everything in Dubai is pretty close. Here’s a perfect 48 hours in Dubai! 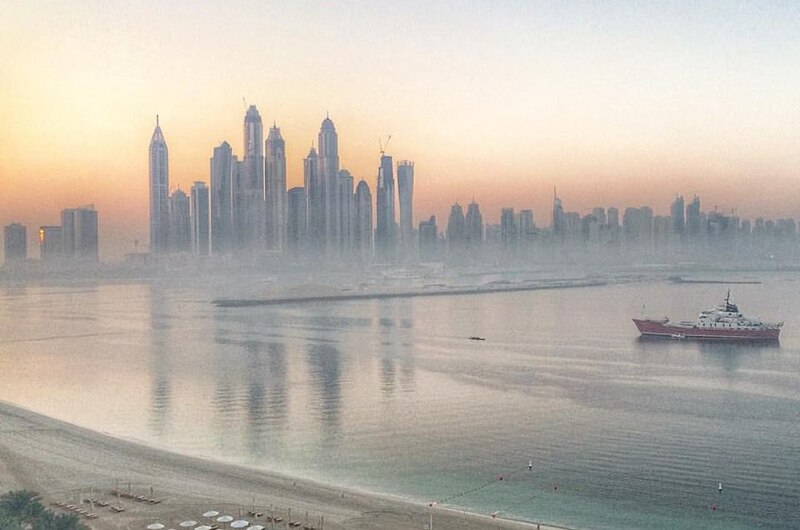 Dubai is chalk full of the best hotels in the world. There is no shortage of luxury in the Emirates. 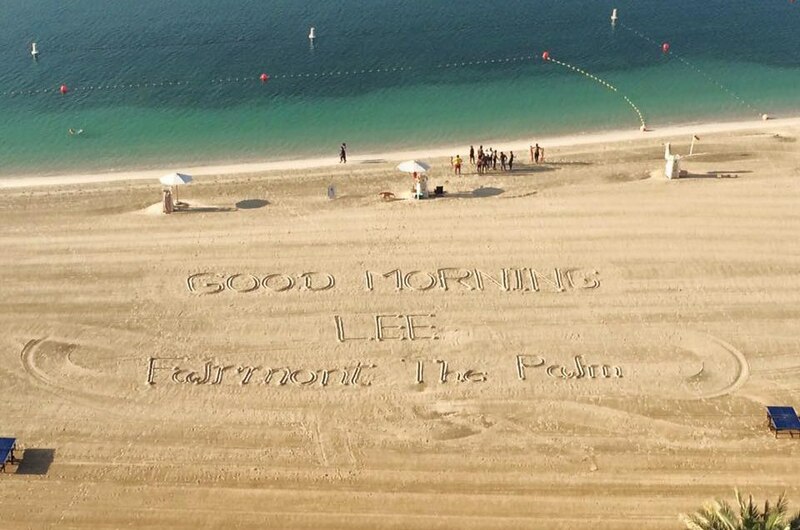 I personally loved my stay at Fairmont The Palm on the Palm islands of Dubai. It is perfectly positioned to just relax on a great beach. There’s nothing like a quick dip at the beach (or pool) first thing in the morning! Café Sushi is amongst the best sushi places I’ve eaten at anywhere in the world and I eat a lot of sushi. It’s located in the Fairmont Dubai; which is downtown and right off the metro. The sushi is delicious, the prices are reasonable and the quality is top notch! I highly recommend this very local place for the best sushi in Dubai. Just two stops away from Fairmont Dubai is the most lavish and ridiculous mall you’ve ever had the pleasure of stepping foot in. The Dubai Mall is the mall of your dreams or your nightmares depending how you look at it. It is massive. It has everything, literally. It is big, confusing and at the same time, it is pure entertainment and you cannot stop saying wow!